OneStepCheckout has been attending Magento Imagine events since its first ever edition in Los Angeles. 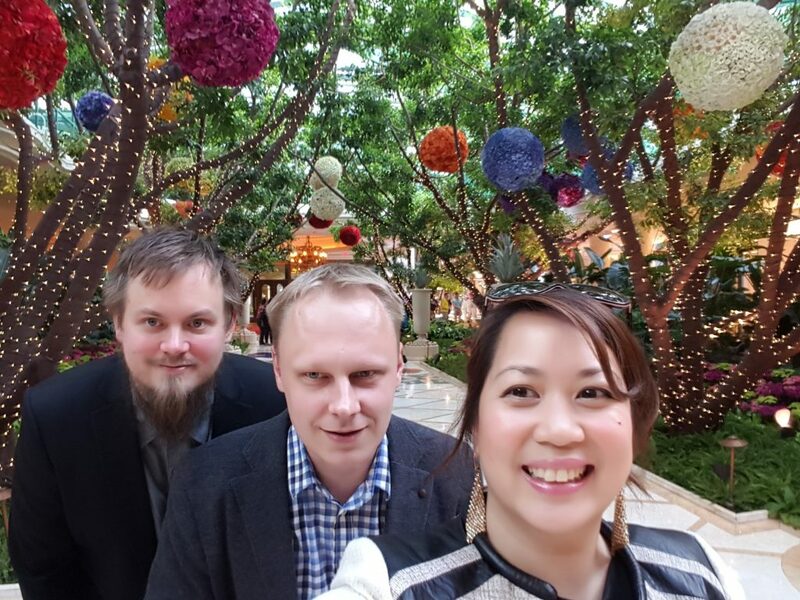 Since then, Eskil and I joined the company and made our debut at legendary event at the Wynn since 2016. 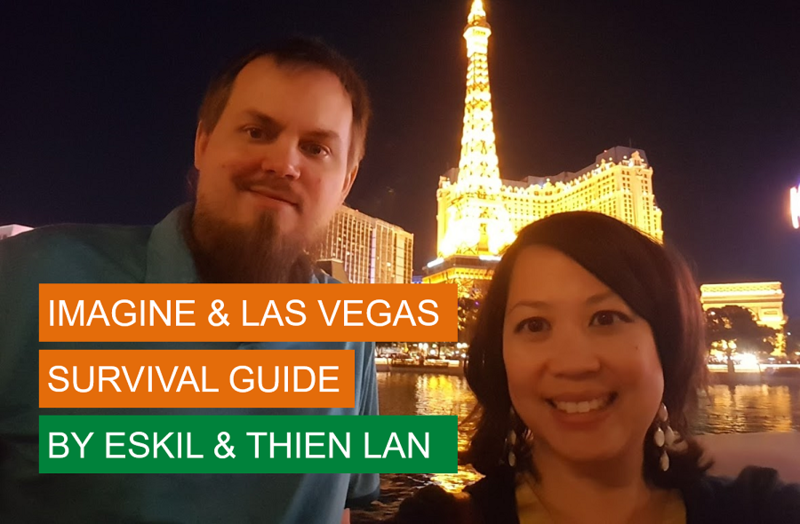 We’ve been twice to Imagine in Las Vegas and have come up with a few practical tips for first timers. Every year we sign up in October as soon as the early birds tickets are available. It’s a no-brainer: the relationships, the partnerships, the news, the inspiration, the fun, it’s all worth it! Every year is different, bigger, better. This year, the conference is so popular that Magento had to come up with a new type of ticket so while the General Session room is full, attendees can still watch it from a screen, and enjoy all the rest: the food, the vibe, break-out sessions and the of course Hallway Sessions. Here’s a great summary of what’s to look forward to this year compiled by the team at JH. First time in Las Vegas? 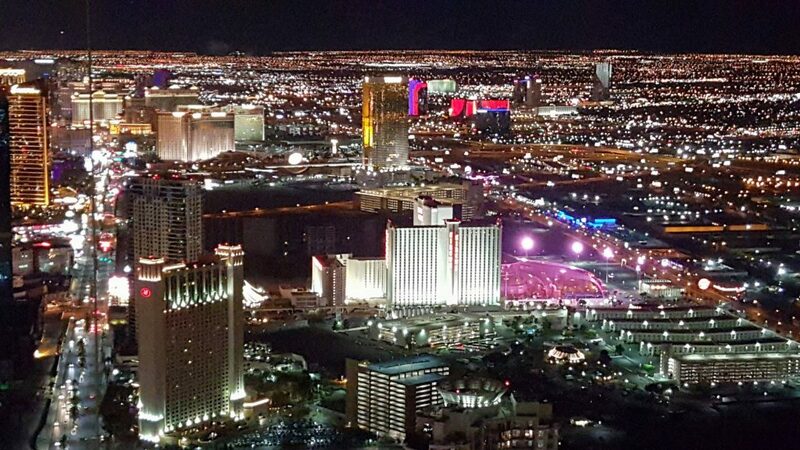 The Las Vegas Metropolitan Police Department has an information page with information for tourists. Las Vegas is a crowded city, and it’s wise to always be mindful about your belongings. Also note that jay walking is a minor offense in Nevada, do not cross on a red light and stay safe! Pharmacy/ chemist: CVS diagonally across form the Wynn where you can find all you need. It’s open 24/7. Doctor: Medical center located next door Palazzo hotel in the Walgreen store. It’s open 8.30am to 6pm Mon to Thursday. I remember I started having conjunctivitis on the last day of the conference. I went 5 minutes before closing time and the doctor wouldn’t check my eyes 🙁 Lucky, a pharmacist still gave me drops. Count a good 15 minutes to get there from the heart of the conference. Lip balm at Walgreens: Note: you can also get lip balm from various booths at the Marketplace at Imagine 2018. Sunscreen: Viking skins will most likely spend some time outdoors in the sun. Remember sunscreen! Eskil and I no longer buy clothes in Oslo. We wait for our yearly trip to Las Vegas and we hit outlet stores! Las Vegas North Premium Outlets is a mere 10 min drive from the Strip and cost less than $10 by Uber. 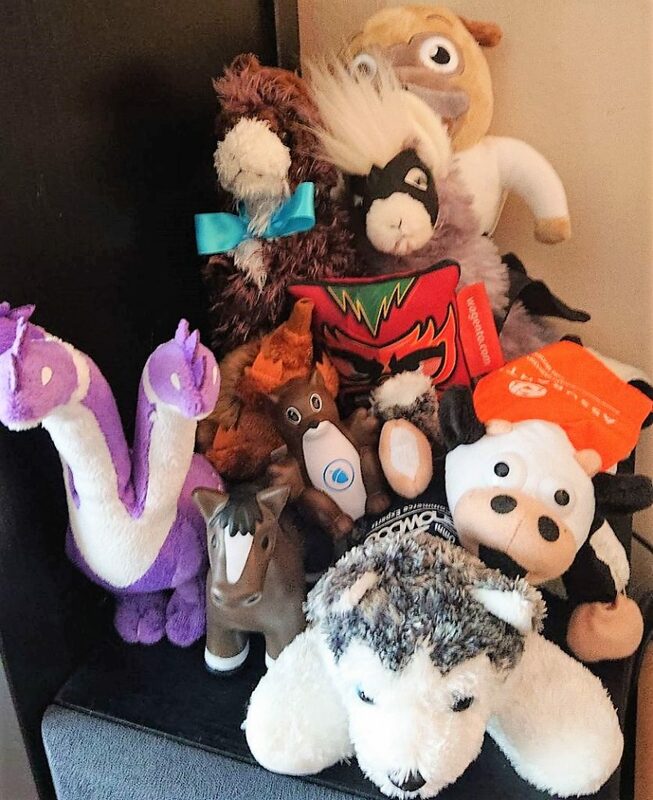 Here is my loot back in 2016 where I got something for the each member of my family! 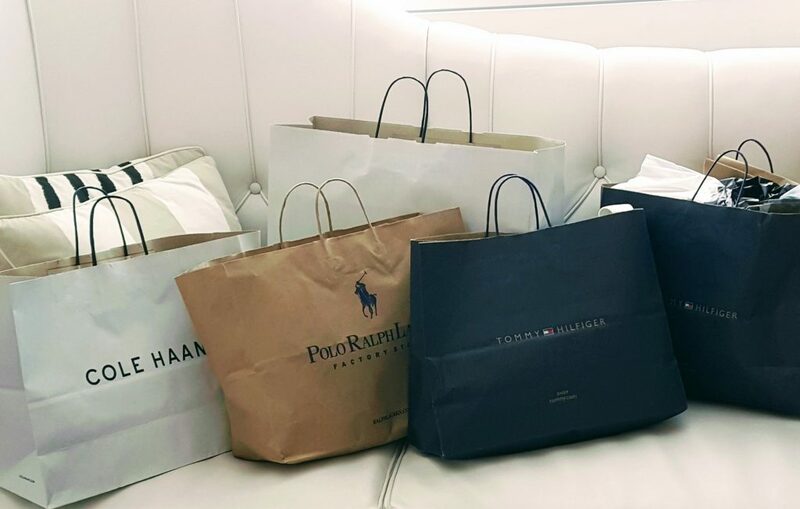 Eskil found better deals at the South outlets, especially at VF Outlet, which unlike the other 1 brand per store, had multiple stuff. A bit more crowded inside, but they had good quality clothing, including well known brands. Especially a very good jeans section. 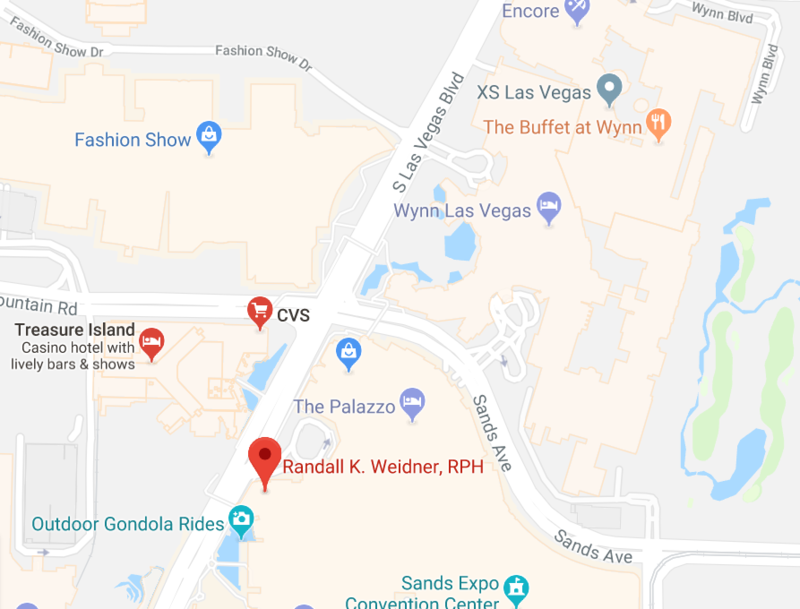 There’s a Best Buy at Maryland Parkway, a short ride east of the Wynn. If you drop or break your phone, they have fairly cheap unlocked phones. To the south, there’s also Fry’s Las Vegas Store, which has a small selection of unlocked phones. We went there last year, after my phone hit the pavement. Got a $40 smart phone. Boy! you get what you paid for: slooooooow response to any tap and just enough memory to download… two apps! Uber or Lyft rides usually cost less than cab rides for the same distance. I discovered Lyft as they advertised on airport billboards including a coupon code for new customers giving you a $5 discount on your 10 first rides. Keep an eye out for it! Otherwise All Uber users now have affiliates code that gives you credits too. Just ask us! From or to the airport, it will be around $40 and note that you have to get to a particular pickup zone to use Uber or Lyft. The zones are at the parking garages at Level 2M for Terminal 1, and Valet Level for Terminal 3. Not arriving on Sunday? Feel free to connect with other Magento Community members. Dress Code: to suit up or not to suit up… but by all means wrap up warm (rug up if you’re Aussie)! At our first Imagine event, we didn’t quite know what the dress code would be. So following the old saying “better be over dressed than under dressed”, we suited up. Because we knew the event would be Legen… wait for it… dary!!! Our first encounter with the Community was at the Pre-Imagine Party and everyone was super welcoming and relaxed, wearing T-Shirts, sneakers and colorful caps. After all, we’re in tech! The Community is extremely diverse and inclusive. Think geeky developers, older business people, marketing and creative bunch and everything in between, mixed with hundreds of nationalities. 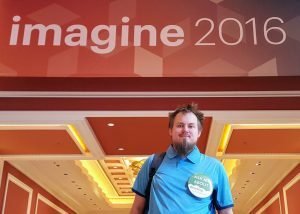 More on Ways to be inclusive in the Magento Community. So…on day 2, Anton and Eskil dropped the shirt! The Encore Theater is where all the General Session happen i.e. most inspiring show and hour long keynote sessions. However, the air con is turned to the max so it’s really really cold, even for people like us who living in Norway! Bring a jacket or a jumper, or like me a shawl or extra layer. If you’re not comfortable you can’t focus on enjoying every bit of the show. What is call Hallway Session are the relationships that you build in between formal session. It’s the laughter and creative ideas that comes out of your conversations with like indeed people. The conference area is HUGE. You will walk miles (and kilometers too). Make sure you wear comfortable shoes. Because after working hours we will also request you feet to be able to make a few moves on the dance floor! I’ve been following Sherrie Rohde‘s tip now: platform shoes! Another tip we discovered last year: the breakout session rooms at the Wynn are lined up in alphabetical order (and they feature names of wine if you were wondering)! So Margaux room would sit between Alsace at one end and Petrus on the other end of the hallway! Here’s an excellent article about the power of the Swag. Whether you’re exhibiting or not, bring a big suitcase. My kids just love the the soft toys, any toys, notebook, pens and portable batteries! Who knows what other creative ideas sponsors will come up with? Speaking of portable battery/ charger: this is a MUST HAVE. Grab one as soon a the Marketplace opens on Day 1. You’ll need your phone to take pictures, videos, tweets, check the agenda, find your team mates and meeting locations or catch Pokemons. There might be some charging stations but safer with your own charger! Where to stay and eat near the Wynn? This year our big win is to stay at the Wynn (pun intended). 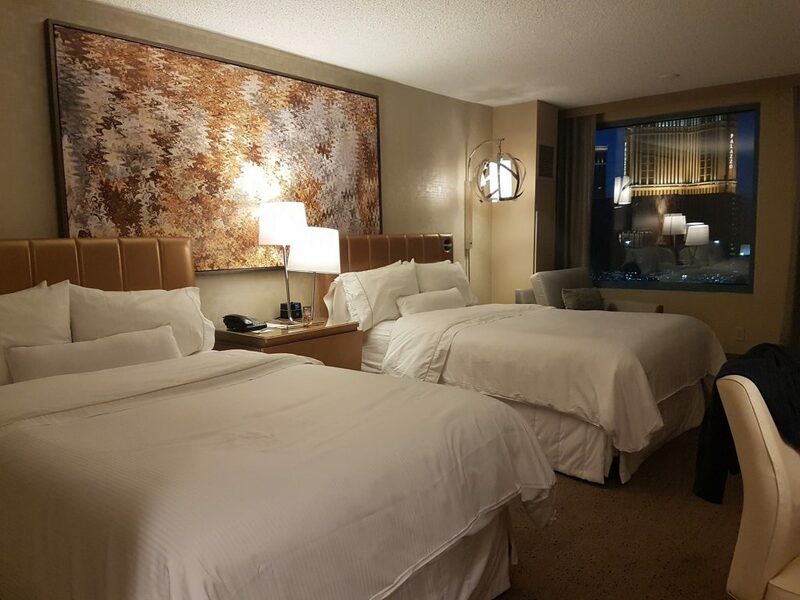 In the past, although we were on a tighter lodging budget (half), we still experienced very good quality hotels. 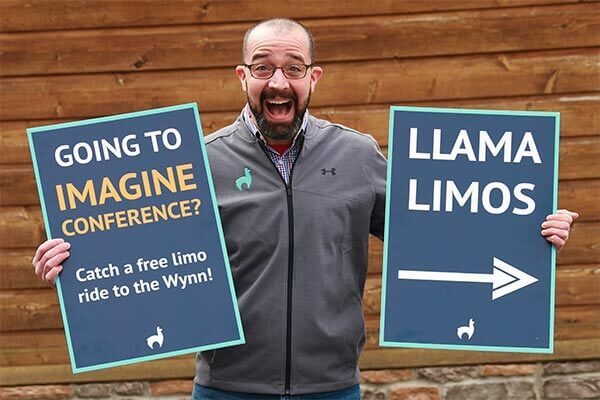 All you need is to account for 10-15 min transportation to the Wynn (but a good 30 minutes from the conference door to your hotel room door). What we loved? Breakfast, in particular pancakes with honey infused butter from their coffee shop downstairs. Not your usual hotel breakfast buffet, much trendier. Standard Westin amenities and service from the Starwood group of hotel. 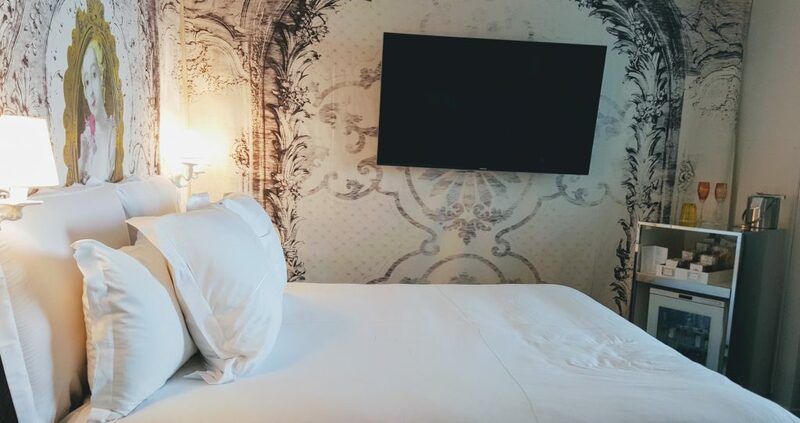 No surprise if you’re an SPG guest and get your points. You will be very well fed throughout the conference. The only occasions we had to eat outside of the Wynn were on the Wednesday evenings. It’s a revolving restaurant with an amazing view. Great for drinks, some liked the food, I personally didn’t so much. But the place if definitely worth visiting. You’ll make an impression by taking your most valuable partners or customers there ! Although Eskil is vegetarian (and he loves the food at the Wynn), he was kind enough to come with me to a Korean BBQ. This is something I discovered when I lived in Sydney. You don’t see this much in Europe, and there’s none in Oslo. So I had to go! The concept is about ordering raw meat (seafood and veggies) marinated in a delicious secret sauce and you grill it at your table! I was not disappointed. It was amazingly tasty, definitely fulfilled my cravings and Eskil had a good range of grilled veggies to choose from. Just a short ride away from the Strip, there’s place where you can play for hours and win nothing back but a retro experience. Pinball Hall of Fame is a not-for-profit museum, where you also get to play on the exhibited items. Their machines range from late 1940’s to modern times. Their machines takes quarters, and they have an bill-to-coins exchange machine. Nearest ATM is at 7-Eleven, across the parking lot to the east. At The Lux hotel (the black pyramid, south on The Strip), they have two museums. They host the largest Titanic exhibition in the world, with tons of artifacts from both the ship, personal belongings and more from the Titanic’s maiden voyage. There’s also a small souvenir shop where you can buy a small memorabilia which was actually on this maiden voyage. Sounds exciting? Well, no quick win to get precious artifacts from this historical event, but you can buy a small piece of coal. This coal has been gathered from the Atlantic floor, and sales are helping finance the museum and preservation of the ship, which is now being slowly being eaten up by iron eating bacteria. The other exhibition is a bit of the odd type. They have preserved bodies, with 13 whole body speciemens and over 260 organs. It gives you a up-close look of our skeletal, muscular, respiratory and circulatory system. The preservation technique used is called plastination and was invented by the German anatomist Gunther von Hagens in 1977. Not for the faint-hearted, but all specimens are displayed in a respectful way. Tickets are $32 each, or $42 for a combo ticket. Also the air temperature inside the pyramid is excellent. Another tip we got, was to try the elevators, they move up and sideways along the slope. We didn’t get to test that, but if you tag along with guests who have a card, you can try it. 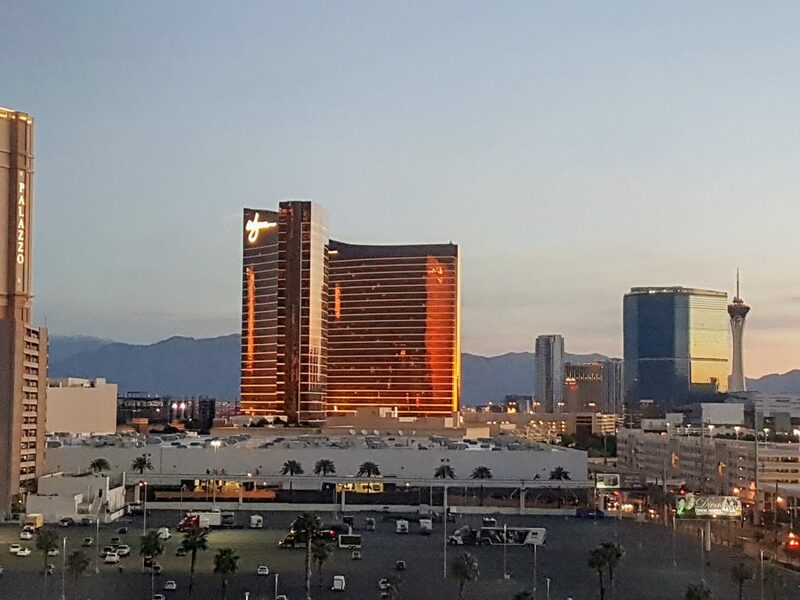 Las Vegas is also host to a huge variety of shows, including the permanent shows Cirque de Soleil Ka and O, and Penn and Teller’s famous magic show. Eskil will see the magicians this year and Thien-Lan Cirque du Soleil O. Tip: tickets directs from the Bellagio are much cheaper than through marketplaces and ticketing websites. 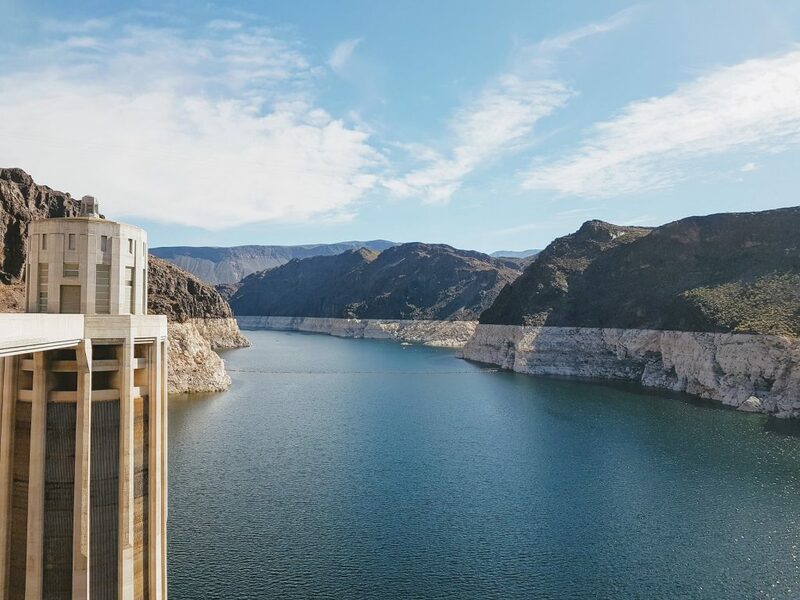 You could also take a trip to the famous Hoover Dam, situated close to Boulder City, which was constructed to house the worker who build the dam. Here’s a short recent video with information on how Las Vegas started as a spot in the desert, to the party central it has become today, including the construction of this dam. It’s approx one hour drive from Las Vegas. The Big Dam Run takes you there every year for the last 7th year, on the Sunday morning before the conference. They arrange a whole bus departing and coming back to the Wynn. 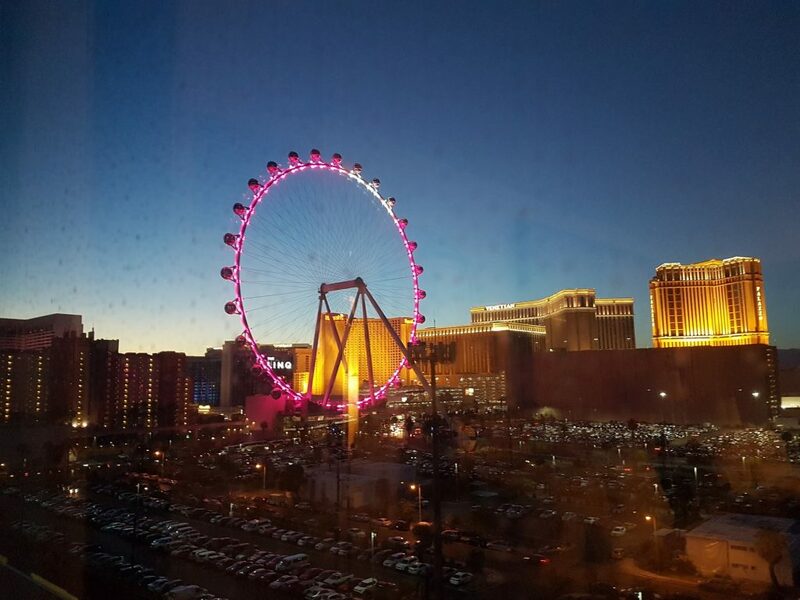 More tips from Paul, a seasoned Imagine attendee, especially if you’re staying at the Wynn! Other top tips to get the most of your business conversations, feel free to chip in! Thanks to the first blog post from JH, I found out about the Diversity Round Tables that are taking place on Tuesday 24th April from 3.30pm to 5.30pm. I clicked, submitted a topic and have now just been confirmed to facilitate the discussion around Work Life Balance! Being a mum and the secondary career in my couple, I’ve got some stories to bring to the table. But it won’t just be around family vs. work, not at all. Everyone has something they want to spend more time on: a charitable cause, sports, arts, people and that’s what we will talk and share about: men, women, it will be inclusive. I will also have the honor to co-host the table with Anita Andrews. I just looked up her LinkedIn Profile: wow such an inspiration! Can’t wait to ask her how she does it! Other topics at the Diversity Session include Inclusion (pun not intended), Biais, Leadership, Mentorship, Promotions etc… Hope to see you there! 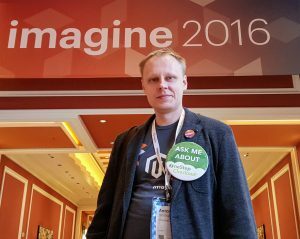 More questions about Magento Imagine 2018? There are no dumb questions! Feel free to ask via Twitter or Facebook and we’ll do our best to help. Hope you enjoy a wonderful event this year. Fingers crossed so you don’t break your phone like me last year or a leg like our friend Lewis from Pinpoint Designs agency!